Do you prefer soft or moisturising? Fresh or fruity? NIVEA has a large selection of oil shower products, shower creams and in-shower body lotions for your daily shower. But do you know which shower gel suits you best? One person will want to moisturise her dry skin intensively, whilst another will want a burst of freshness to wake up properly in the morning. And others will be looking for relaxation after exercise or to save valuable time when showering and moisturising. 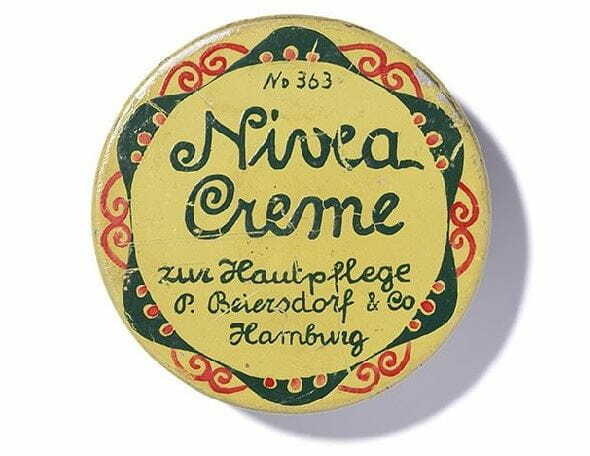 NIVEA has developed the right product for all these needs. Which is your favourite in the shower? From effective cleansing to the magic of pampering the senses: with NIVEA everyone will find exactly the right shower product to suit their personal care and scent preferences. Are you dreaming in the shower of jumping into the cool water, do you love fruity citrus scents and are you looking for a burst of freshness in the morning to enliven your senses? Then invigorating shower gels are just right for you. Try the gels that smell of exotic fruits, fresh petals or a cool sea breeze: NIVEA Pure Fresh Shower Gel is as stimulating as jumping into the sea. With their revitalising scents of lemon grass, water lily or frangipani, the moisturising shower products such as NIVEA Lemongrass & Oil Shower Gel, NIVEA Waterlily & Oil Shower Gel and NIVEA Frangipani & Oil Shower Gel ensure your skin is refreshed and cared for. For the most invigorating start to your day, take an alternating shower – why not try it out? If showering means more to you than just getting clean, then you are more of the type who is looking to be pampered. Do yourself and your body a favour and use the gentle NIVEA Care shower products: Experience the sensual scent of orchid petals in NIVEA Cashmere Moments Cream Oil Shower or envelope yourself in a glamorous shimmer of diamonds with NIVEA Diamond Touch Cream Oil Shower. The cream shower products NIVEA Cashmere Moments Cream Oil Shower and NIVEA Supreme Touch Cream Oil Shower ensure a luxurious feeling in the shower, imbued as they are with essential oils to pamper your skin. For intensive moisturising: which shower gel helps to combat dry skin? Want to moisturise your skin intensively while showering? Then choose cream shower products such as NIVEA Creme Soft Cream Shower or NIVEA Creme Smooth. These will provide your skin with valuable ingredients like chamomile and almond oil. Do you go for a warm shower? Then you are not alone. Around 70% of women prefer to shower in pleasantly warm temperatures. The other 30% brave the alternating shower. This mix of cold and warm water stimulates the circulation and strengthens the immune system. This tightens the skin and makes your complexion radiant – alternating showers are a real beauty secret! Tiredness and a bad mood have no chance around those who like to shower with alternate bursts of warm and cold water – perfect for waking up properly. An alternating shower is also good after a challenging work-out as it supports the regeneration of the muscles. Alternating showers in the evening relax you and help you to sleep, especially when you tuck yourself up under a warm cover after the final cold shower. And how could showering be even more pleasant? With the right shower gel by NIVEA, of course! Using the innovative in-shower products by NIVEA is the fastest and simplest way of moisturising. You can apply them even while you are still in the shower, they are absorbed by the skin immediately and do not leave a sticky feeling behind them. There are NIVEA in-shower body lotions for every skin type and in many different fragrances. Only twenty per cent of women moisturise after showering – even though it is actually essential if you want to have soft skin. The reason is not just a lack of time in the morning, but also the sticky feeling that some creams leave behind on the skin which many people find unpleasant. The in-shower innovation by NIVEA is revolutionising the experience with a simple, as yet unheard of form of moisturising care: the new NIVEA In-Shower Body Lotion with Honey & Milk and the NIVEA In-Shower Body Lotion have an innovative formula that is activated by water. These are applied to the skin whilst you are still in the shower, directly after you’ve washed with shower gel. Moisturising thereby becomes a standard part of your morning showering ritual – without having to use another product after showering. Then after drying off, your skin is already wonderfully soft and moisturised. No time for after-sun moisturising between bathing and the beer garden? Yes, there is – with the new NIVEA In-Shower After Sun Lotion. It refreshes and calms sun-stressed skin in the shower. Simple.